For the third installment in our Mount Rushmore series, we turn our sights to the legends of the hardwood. There is no doubt that the baseball and football card collecting worlds offer more choices due to their rich history of trading card production, but that doesn’t mean basketball doesn’t have its share of classic cards. Over the course of several decades, each one was seemingly dominated by a different star, and some of those stars transcended the sport. The question is which of those great stars and cards deserve a spot in this elite club? In the following article, PSA’s Joe Orlando offers his Fab Four for the prestigious side of the mountain and explains the rationale for selecting each legendary card. 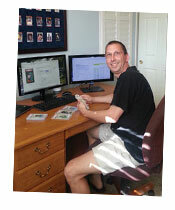 Kevin Roberson has spent his collecting life acquiring the finest cards he could find. In fact, many of his complete sets have no peer on the PSA Set Registry, taking the top spot on the All-Time Finest list in a variety of categories. In addition, Roberson has assembled some of the best individual basketball cards on the planet, from the 1948 Bowman George Mikan to the 1957 Topps Bill Russell to the 1986 Fleer Michael Jordan. In the following article, Roberson shares his collecting pursuits, which includes a focus on the best of the best from the world of basketball. For those in their 40s and 50s who started collecting as a child, the 1970s was a decade where it all began. Just before the hobby explosion of the 1980s, many young collectors were getting their first taste of opening packs in the decade of disco. While the 1970s has often been overshadowed by the decades that came before and after, Topps did produce some pretty popular baseball card sets during that stretch. From the tough, black-bordered 1971 set to the massive 1972 set to the colorful 1975 set, the decade is full of desirable Topps issues. Some of the greatest players in baseball history ended their illustrious careers during the decade, such as Hank Aaron, Ernie Banks, Roberto Clemente and Willie Mays. This unopened pack run features a Topps wax pack from every year (1970-1979) and it is the only set to reach both 100% completion and a GPA of Mint 9 overall. Those were the days. Click here to view this set. 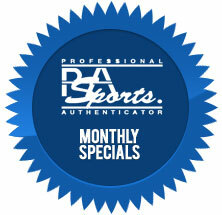 Exclusive to PSA Set Registry members, upload your inventory from My Inventory to sell on Collectors Corner. Collectors Corner cards show up in the PSA Shop feature exposing your items for sale to a much larger audience. To get started, login to MSR, move the inventory you want to sell to the CC Sales location, determine your selling preferences and price and upload to Collectors Corner. For more information, email [email protected]. Brooks Robinson spent decades surrounded by the trophies and souvenirs he gathered during his Hall of Fame career with the Baltimore Orioles. The shelves in his study are now bare, the result of Robinson’s carefully considered decision to auction off more than 200 cherished items to raise money for charity. The inventory includes his World Series rings from 1966 and 1970, each of Robinson's 16 Gold Gloves and the jewel of the collection, his 1964 MVP Trophy. Four rare historical artifacts including Thomas Edison’s patent application for the light bulb, the second oldest telephone directory in existence, a collection of signed documents from every American President and the original document outlining the top secret plans for D-Day headline an eclectic collection of American historical artifacts up for bids in the 2015 Goldin Auctions October Legends & Americana Auction. PWCC Auctions is offering a 1952 Topps Mickey Mantle PSA-graded 8 in their upcoming Auction #9. The Auction goes live on eBay this week on October 29th. There are 762 lots for auction that will end on Thursday, October 29, 2015 at 11 PM EST using the 15 minute rule. This auction features many high grade and low pop cards for collectors to complete their sets from the 1950s through the 1970s. Breaking several PSA-graded baseball sets card by card on eBay ALL Cards grade PSA 8 or higher. All cards begin $0.99/MB. Buoyed by a selection of elite level Mickey Mantle cards, the #3 PSA Set Registry rated 1953 Topps set and a slew of exclusive rookie cards, Mile High Card Company obliterated the record book on many fronts with stunning results in their October 2015 auction, which totaled $2.4 million in sales. 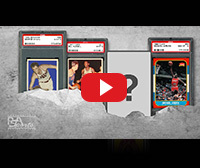 Which of the following cards do you think should take the #4 spot on the Mount Rushmore of Basketball Cards?